Captain Kimo is back in Bangkok from a week stay at Grandma’s house out in the country. I’ll be heading back to Thailand’s country side later tonight. 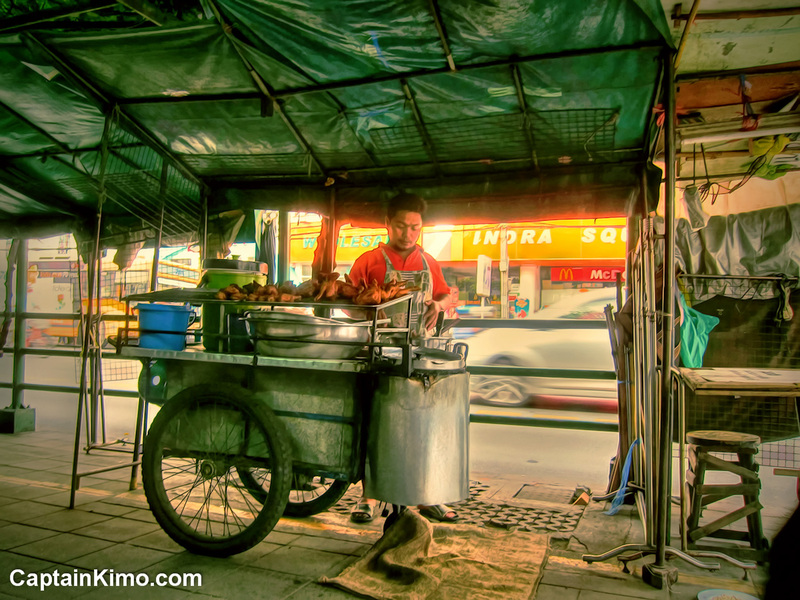 The first thing I did when I got to Bangkok was go straight to the local fried chicken vendor down the street. After eating Grandma’s food, I was ready for some good old fashion fried chicken and this guy makes the best!